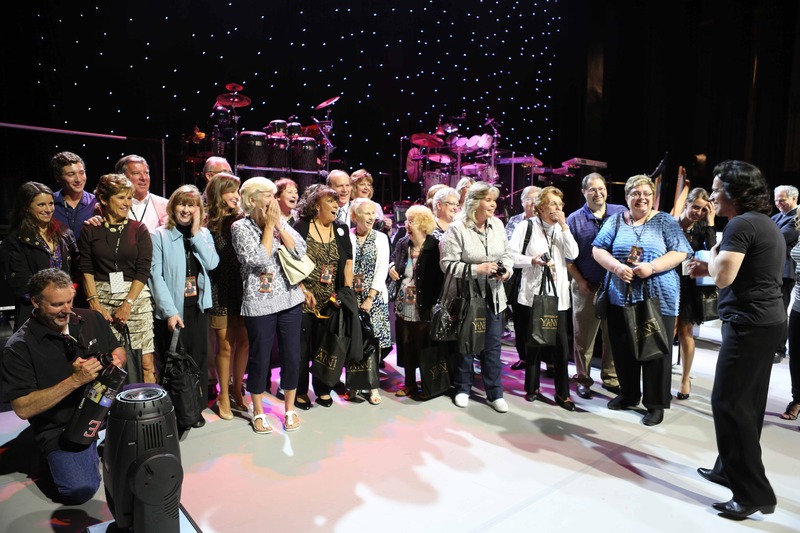 The VIP ticket holders received an extra special surprise when Yanni caught them visiting his stage! Concert attendees are able to upgrade their tickets and experience a backstage tour amongst other VIP items. This time, they experiencd more than they barganed for.